Smiles along Virginia’s Blue Ridge combine with historic harmonies of America’s Original Music. To see the Carter Family Fold is to listen to history – it was the beginning of Commercialized Country Music. To experience the Floyd Country Store’s Friday Night Jamboree is to share the joy of old-time music in both dance and melody. This tour requires a little walking and a lot of toe-tappin. Tour needs to start on a Thursday. 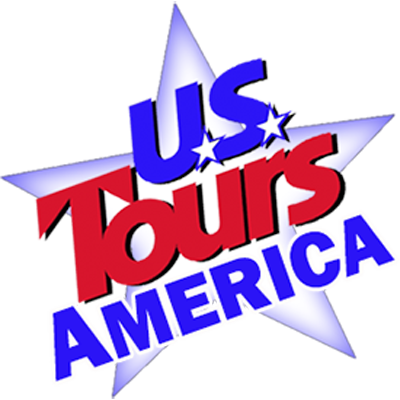 Day 1 – Your tour package features two nights of wonderfully located lodging in the center of small town Floyd, VA. The Hotel Floyd is new construction eco-friendly facility with large rooms. It is the perfect choice for lodging to begin this trip. Tonight from 6:00-8:00pm, you enjoy the Hotel Floyd’s Thursday Night Concert. In a small amphitheater, actually visible from many of your group’s hotel rooms, you’ll enjoy music by a local bluegrass, country or jazz band – all while dining on local barbecue. It’s a casual relaxing evening at the end of a travel day. Day 2 – This day is dedicated to exploring the southern end of Virginia’s Blue Ridge Parkway. It features a guide to narrate and offer explanations on the history and culture of the region as you travel. The first stop on tour is Mabry Mill, the most photographed spot on the Parkway. This historic site is filled with Park Service interpreters who will explain about life in the Virginia Mountains during the 19th Century. Your next stop at the Meadows of Dan is Nancy’s Candy Co. While this is a factory, it is also a very large candy store that will have your guests giggling in temptation over luscious chocolates, mouth- watering fudges, artisan truffles and handmade candies – at factory prices! Lunch time finds you at The Blue Ridge Music Center an interpretive museum that celebrates the music and musicians of the Mountains. American Musical History can be traced backwards through local artists in this region for generations. It has been traced to the meeting of the African banjo and the European fiddle in the Tidewater before our nation was created. It’s also found in older ballads and religious music that reach deeply into the American past, influencing many forms of folk and popular music made across America today. While visiting the Music Center, you enjoy a catered picnic and live music by a bluegrass, folk or country band from the area. This afternoon, returning to Floyd you have a chance to relax and freshen before the evening. Dinner is on your own, there is not one restaurant capable of seating a large group. However there is an adequate number of eateries and the festival atmosphere of Floyd Friday Night is to be experienced not watched. You will have tickets (but not seats) for The Floyd Country Store’s Friday Night Jamboree that begins at 6:30pm. The Jamboree is merely the center point of a community filled with impromptu music. The Country Store is always standing room only and you will have a chance to experience it. The street is lined with permanent brick booths filled with musicians who gather and jam until well after dark. There may be a dozen or more groups playing at any one time. They start spontaneously, change at whim and perform for the joy of it all. Floyd Friday Night is a small town musical gathering where you wander from group to group, visit the shops, sit down for a sandwich or enjoy an ice cream cone. It has become a traditional gathering place for musicians, dancers, families and visitors from all over the world. The Friday Night Jamboree is an outstanding and authentic experience unlike any other and one which you will never forget. Day 3 – Leaving Floyd, you motor to the Southwest Corner of Virginia and the town of Abingdon. Founded in 1778, in the beautiful Blue Ridge Highlands of Virginia it maintains a quaint atmosphere with charming historic towns on tree-lined streets with brick sidewalks. A local guide will spend an hour discussing the cities legends, wars and culture, and how it has maintained its rich historical integrity. Abingdon’s most famous business is The Barter Theater. It opened its doors on June 10, 1933, proclaiming “With vegetables you cannot sell, you can buy a good laugh.” The price of admission was 40 cents or an equivalent amount of produce. Four out of five Depression-era theatre goers paid their way with vegetables, dairy products and livestock. Can you imagine a live hog for the price of admission. To the surprise of many, all the seats for the first show were filled. The concept of trading “ham for Hamlet” caught on quickly. At the end of the first season, the Barter Company of Performers cleared $4.35 in cash, two barrels of jelly, and a collective weight gain of over 300 pounds. You will enjoy a Back Stage History Tour of the Barter, and enjoy a Soup and Sandwich Lunch at the Barter Cafe. A matinee performance is scheduled for your group today and we have arranged an appropriate admission, not to worry the actors are still eating well. After the show your group will check in to a local hotel (Hampton Inn or similar). Then enjoy dinner at a local restaurant. That is followed by a long drive into the country where you see The Carter Family Fold. This live music show is dedicated to the preservation of old-time country and bluegrass music. It honors the memory of the first family of country music, the legendary Carters, whose first recordings (in 1927) are credited with giving birth to the Commercial Country Music Industry. Like Floyd Friday Night this Saturday Evening with the Carter Fold is a night of unique musical entertainment you won’t soon forget. It’s traditional music, no electrical instruments allowed (everything is acoustic). Once the music starts, Katie bar the door, cause the floor fills with folks dancing. You can either join in or simply sit back and enjoy. The A.P. Carter, June Carter & Johnny Cash Cabin and the Carter Family Museum are also open. Day 4 – Your group should plan for a 9:00am hotel check out after the late night return from the Carter Fold. Don’t worry about breakfast; just get them on the bus you have reservations for the Heartwood Gospel Brunch. Heartwood is a modern Craft Center showcasing the regions many artists, they operate an excellent restaurant and you will hear more musicians from Southwest Virginia performing live as you fill your plate with the best of local food. Depart for home once Brunch is over.